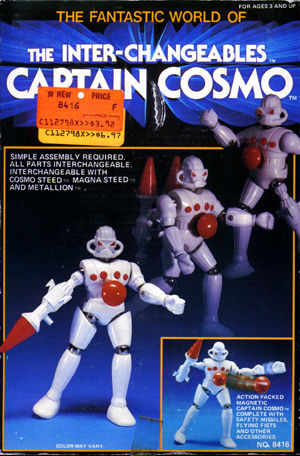 Force Commander by any other name, Captain Cosmo is a cheaper version of our ubiquitous Micronauts hero. The plastic is cheaper, more brittle and almost gleamingly, unnaturally white! And let's not forget the swallow-proof chest rocket which add an element of style to the swanky Captain!